← Mantle plumes still active under Tharsis, Elysium? 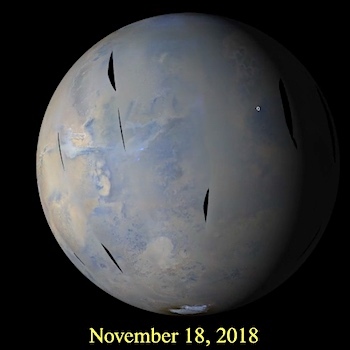 This entry was posted in Reports and tagged atmosphere, clouds, dust, haze, Malin Space Science Systems, MARCI, Mars Color Imager, Mars Reconnaissance Orbiter, MRO, MSSS, NASA, storms, weather, wind. Bookmark the permalink.